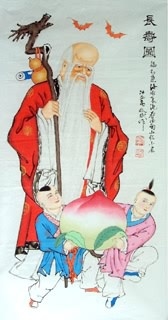 It was believed that the three gods of Fu, Lu, Shou were three auspicious stars in the sky. 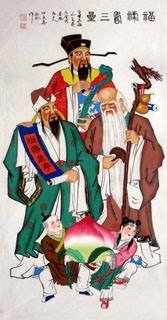 Fu, which means the five blessings befall to one's family. 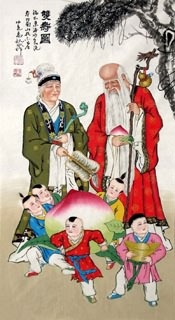 (The five blessings are: longevity, wealth, rank, peace and happiness, numerous offspring.) 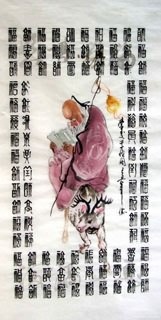 Lu means high position and handsome salary. Shou represents long life. 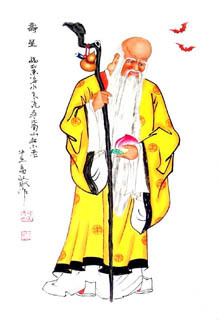 Fu, Lu and Shou are essential to the human world. 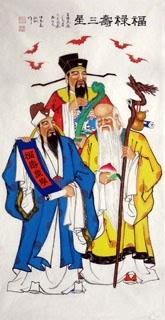 So these three stars are most powerful, influential and popular immortals among the common folk. 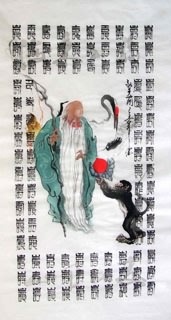 The Chinese often regard the three gods of Fu, Lu, Shou as the ideal gift for social lives. 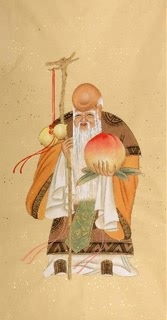 In fact, the star of Fu referred to Jupiter. 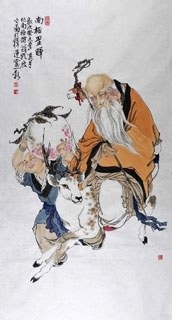 Over the centuries, it gradually evolved into a human image that could give people good fortune and happiness. 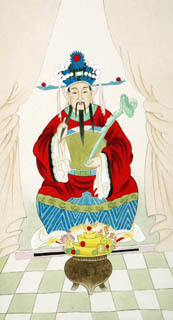 The god of Lu is the six star of Kuidou in the seven Northern Constellations among the 28 constellations. 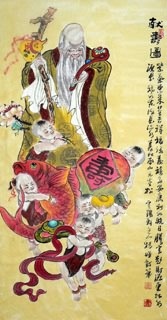 According to the ancient Chinese horoscope (and Taoist belief), it was an auspicious star in charge of rank and salary. 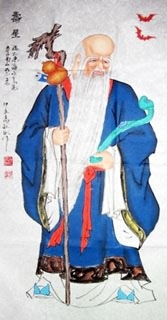 Scholars who strove to win an official position pay special attention to winning the favor of this god. 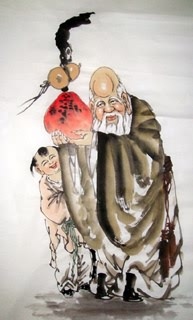 The god of Shou is in charge of one's life span. 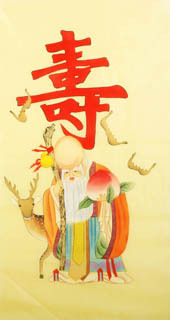 People pray to him for a long life. 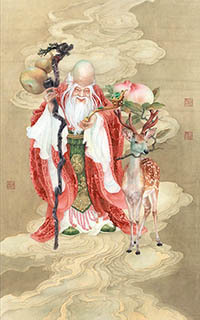 He is an old man with a big forehead and large ears, holding a stick in hand. 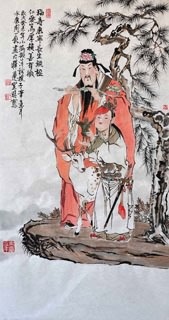 He often ride a deer, sometimes a crane, followed by a boy with peach. 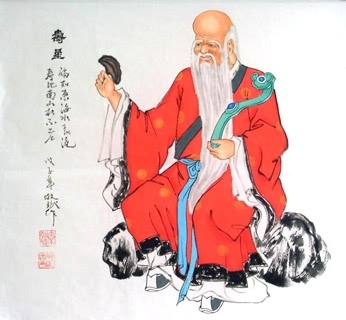 Bats hovering around the god of Shou. InkDance Price: USD 430 /GBP 353 /EUR 409 Sold, you can customize it.